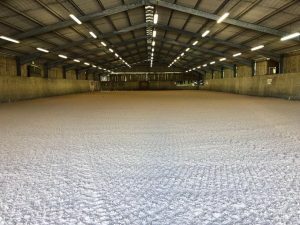 As you all know, Equestrian Surfaces Ltd are a global company. 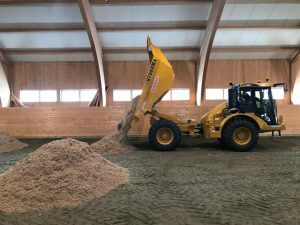 This time we are reporting in from Sweden where we are refurbishing our 10yr old Cushion Track indoor surface at CC Stud. 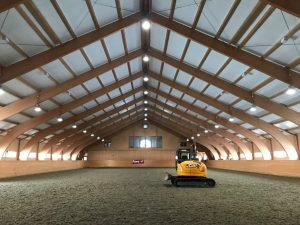 CC Stud is a professional centre for Breeding and training of horses up to Grand Prix level and is renowned in the Sweden as having some of the best facilities in the county. 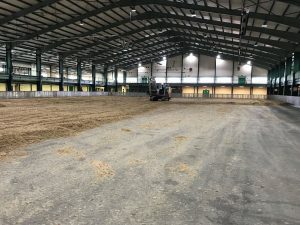 The surface in this beautiful 66m x 32m Indoor Arena was needing some work after 10 years. 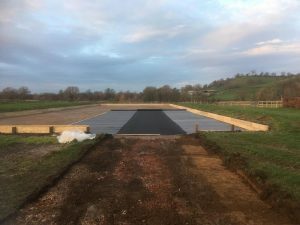 The top surface which has been contaminated through usage has been removed with 225 tonnes of new surface laid across the top. 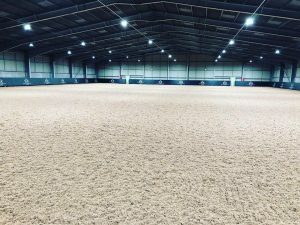 What a stunning arena to be able to train in each day. 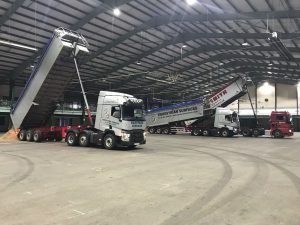 Best of luck to Magnus and the team. 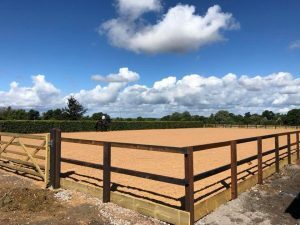 Works have just been completed at Burrows Court Equestrian where 600 tonnes of Sound Track surface has been installed across 3 outdoor riding arenas. 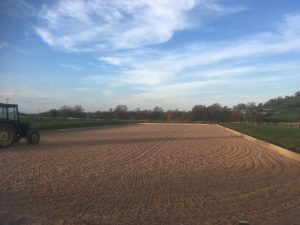 Our Installation team have been working tirelessly for 5 days to ensure the new surface and membrane is complete ready for the weekend. 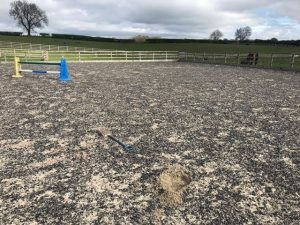 As you can see from the photos, the finished result looks amazing and is a stark contrast between the Sound Track and the old Sand and Rubber surface. 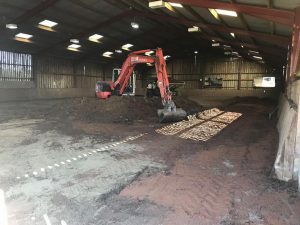 All credit to Noel and Rosie for investing in this already well established facility. 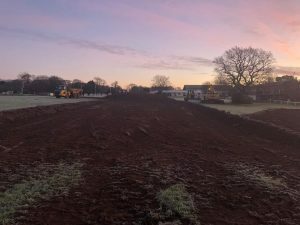 We look forward to hearing the great reviews on the surface. 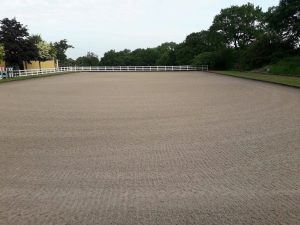 Richmond Equestrian Centre have upgraded the outdoor arenas to our Economy Track surface. 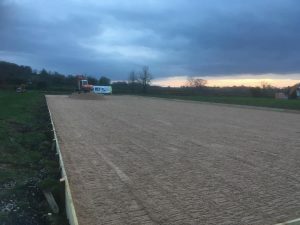 The outdoor 75m x 50m and 60m x 20m arenas have had their existing surfaces removed and 900 tonnes of new Economy Track surface installed ready for the 2019 season. 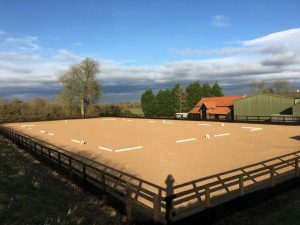 The surface has only been down for a matter of weeks and is already receiving brilliant praise. 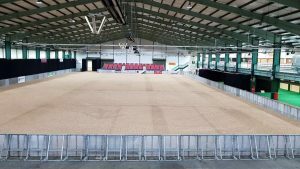 In addition to the outdoor arenas, Equestrian Surfaces have re-surfaced the walkways between all of the arenas using our Equi-Grid system with Economy Track surface to ensure the riders/competitors are always on a stable footing. 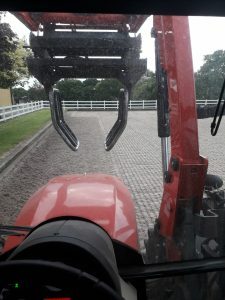 Annual maintenance has taken place at the home of Eilberg dressage, where the hugely talented Michael and Maria train under the watchful eye of Ferdi. 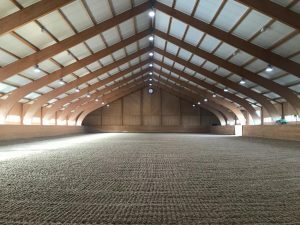 Both indoor/ outdoor and turnout pens house our CUSHION TRACK surface. 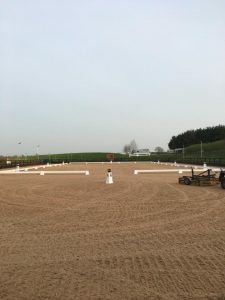 The maintenance takes place annually to make sure these dressage super stars are training on the very best. 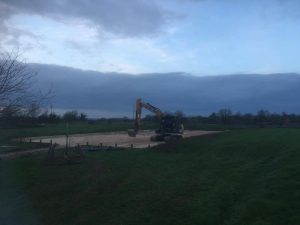 For information on any of our maintenance packages please contact the office. 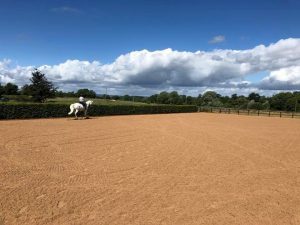 Last year we were lucky enough to work with a new facility in the South West who were set for big things, and through working tirelessly they have achieved great feedback from British Dressage on their facilities and their superb surfaces which are founder surface CUSHION TRACK CLASSIC. 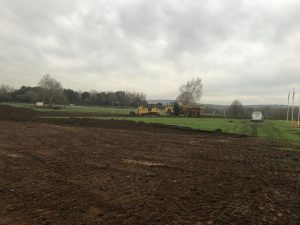 Duchy College have a refurb ! 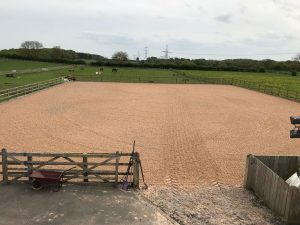 Duchy College in the heart of Cornwall opt for Equestrian Surfaces for the refurbishment, and the end result looks great. 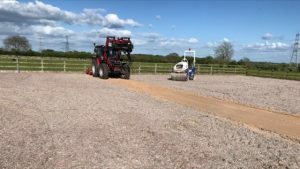 The old tired surface was firstly power harrowed allow it to be easier to lift, once lifted and airated it was re laid and topped up with a small amount of Cushion Track to bring life back into the older surface which over time has had a lot of use and footfall. 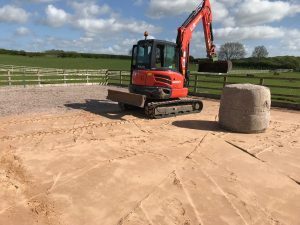 Doing these slight refurbishments to the indoor arena will increase the longivity of the surface. 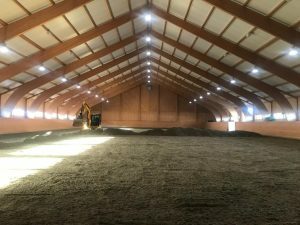 Maintenance of any arena is key . 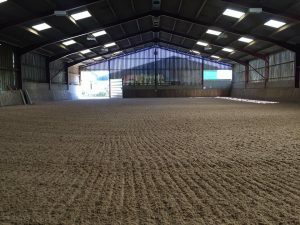 Private yard in Scotland build a fantastic Equestrian facility to rival any . 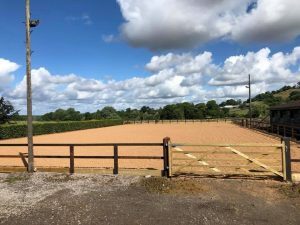 Currently the outdoor arena is completed where they have chosen to surface with a multi washed slice sand and stabilising fibre, the finish is superb. 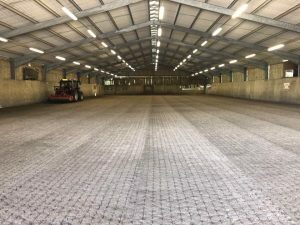 Following this they will also be surfacing an indoor arena with Cushion Track and using the Eco Grid system for walkways . 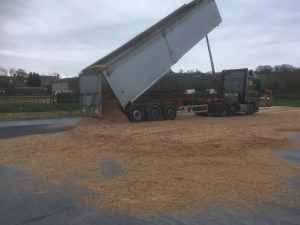 For another year we supported the ever successful Shire Horse Show. 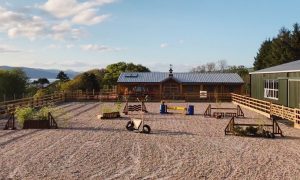 This show runs for 3 days highlighting the best of the breed within the UK . 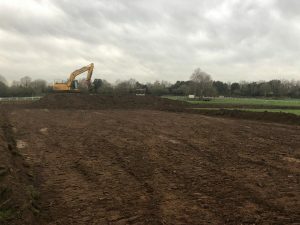 The show opens its doors on the Friday but we begin the makeover of the indoor area at Staffordshire show ground on the Monday, installing the fencing and 609 tonnes of our CUSHION TRACK surface. Then once the show completes on the Sunday we begin immediately in the break down.